Wine Country Gift Baskets #Giveaway Hot Off The Grill (Fathers Day Guide 2012) CLOSED!! Fathers Day is coming, and that means it is time to find that perfect gift for dad! Over at Wine Country Gift Baskets you will find a great selection of gift baskets that will be perfect for that special dad in your life! With the men in my family, grilling seems to be a right of passage so to say, lol. The men love to grill, and they love to get things related to grilling, so when I was sent eh Hot Off The Grill Basket from Wine Country Gift Baskets, I knew this would be the perfect addition to my Fathers Day Guide. In this basket dad will get a barbecue brush, oven mitt, two paper plate holders, 2 drink koozies, rosemary olive oil crackers, Sonoma Jacks Garlic Herb Cheese Spread, chipotle barbecue sauce, Mama Mellace’s Dried Fruit and Nut Mix, Popchips Cheddar Potato Chips, cheese straws and some Stonewall Kitchen Roasted Garlic Onion Dip, which all make for a great barbecue!! With the prices of their amazing baskets and the free shipping that they have right now, Wine Country Gift Baskets is the place to shop for dad this year!! This basket is going to be the perfect gift for my husband this year and the wonderful people from Wine Country Gift Baskets would like to make Fathers Day Shopping a little easier by giving one of my amazing readers their own Hot Off The Grill Basket!! Take a look at the selection of gift baskets from Wine Country Gift Baskets and tell me which other basket you like best!! Please leave me your email with this entry!! This giveaway is open to US residents. This giveaway will end at 11:59 pm on June 6,2012. Winner will be chosen at random.org and will be given 48 hours before another winner will be chosen. All products for reviews and giveaways are given as a sample from the companies. All opinions in reviews I conduct are my own. I was not paid to say anything or review any products. Previous Post BinkiBear #Giveaway 2 Winners! (Preparing For Baby Guide) CLOSED! Next Post Lands' End National Swimsuit Confidence Week! 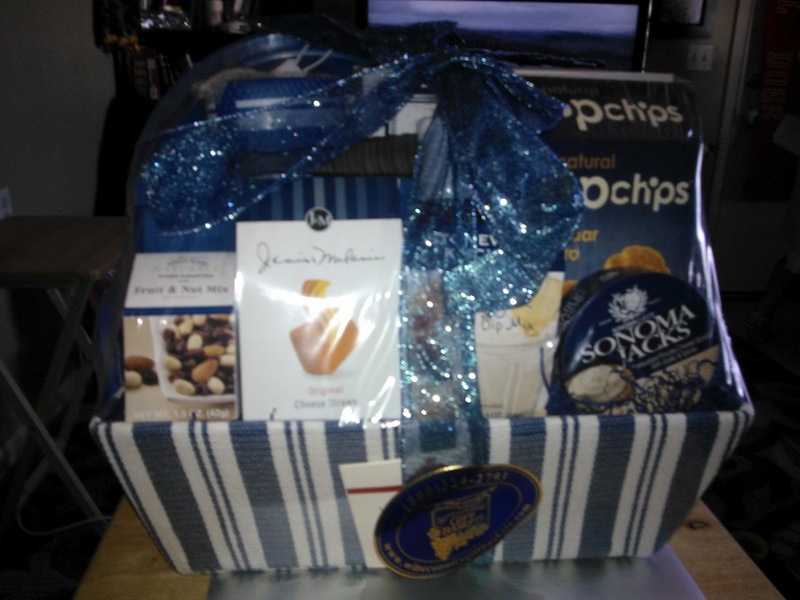 I like the Deluxe Cutting Board Collection Gift Basket.